Vehicle accidents can result in many different types of injuries, and few are more terrifying than a cardiac contusion. A cardiac, or myocardial, contusion is a bruised portion of heart muscle resulting from a deceleration injury or blunt trauma to the chest wall. This contusion may be temporary or permanent, and it typically involves a portion of the right ventricle of the heart, although other parts can also be impacted. A cardiac contusion can lead to serious and lasting complications, including cardiac arrhythmias, cardiogenic shock, and ruptured heart valves. The primary cause of cardiac contusion in a vehicle accident is blunt trauma to the chest. This typically happens when a driver strikes the steering wheel with his chest. Drivers facing the greatest risk are those who fail to use their seat belts. 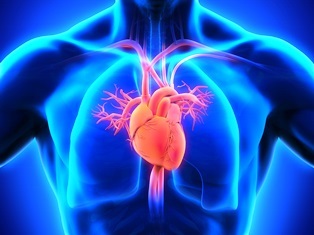 Cardiac contusions are serious injuries that require medical treatment. If undetected and untreated, they can be fatal. Treatment of a cardiac contusion typically involves hospitalization and cardiac monitoring for a 48-hour period. Cardiac pressors may be used to raise the injury victim’s blood pressure, and anti-arrhythmic medications can treat rhythm disturbances caused by trauma. If you’ve suffered a cardiac contusion due to a vehicle accident, you need representation by an experienced personal injury attorney to help you receive the compensation you deserve. This may include damages for your medical bills, lost income, and pain and suffering. To learn more about what the law offices of Steve M. Lee, P.C., can do for you, visit us on Facebook.